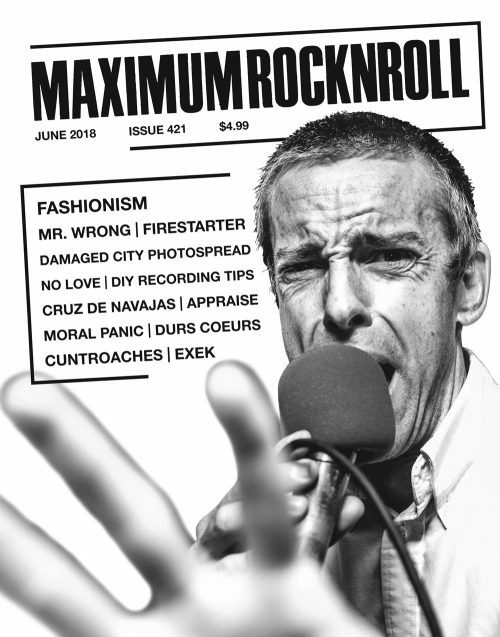 We ring in the new year with our third Maximum Rocknroll Queer Issue! First up is ANTI-CORPOS who talk to us about organizing Girls Rock Camp in Brazil! CLOSET BURNER demystifies being queer in the Midwest, DURES ET GAYS share wild tales of squat shows in Europe, and EJACULOID gets fresh with us. 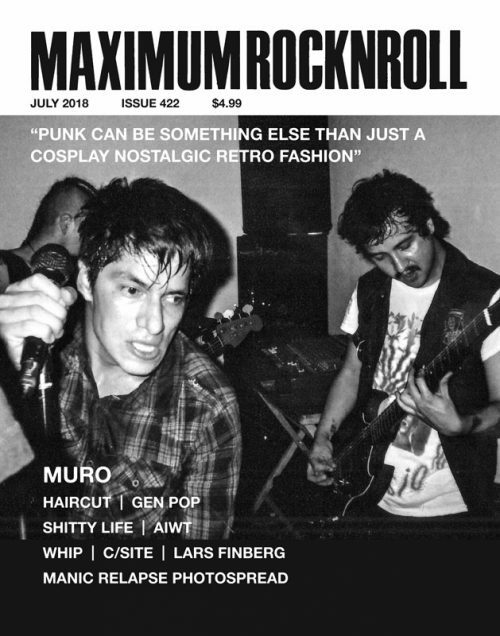 Also in this issue, GLORY HOLE shares their experience of being queer in Australia, PEEPLE WATCHIN’ talks about tour and playing Smash It Dead Fest, and Porcelain from FRUIT PUNCH sits down with us to discuss her emergence and coming out in the East Coast punk scene. 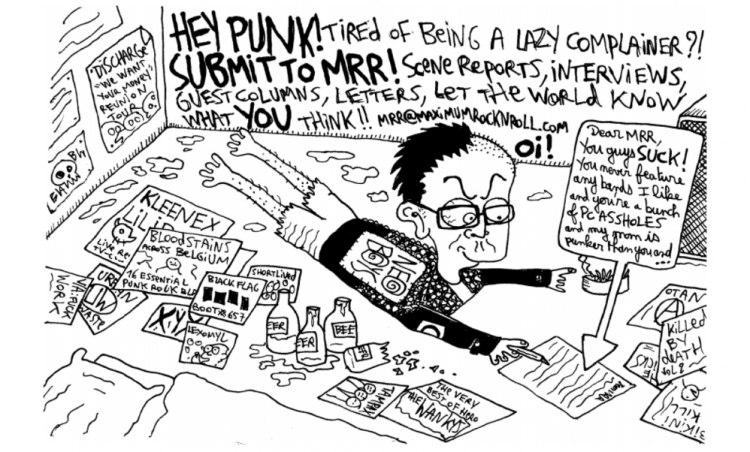 Plus heaps more conversations with queer punx from SHOPPING, PRIESTS, GROKE, SCREAMING QUEENS, and STRONG BOYS, a report from London Queer Zine Fest, a bunch of guest columnists, and the largest and most extensive punk reviews section in print today!